Initially, when I was going wholeheartedly down the “food memory” route for these posts, one particular seasoning screamed out for attention. There are distinct food phases in my life, but a couple that particularly stand out are huge roast veggie dinners – literally just a feast of oven-roast veggies: potatoes, sweet potatoes, peppers, aubergine, zucchini – and my mum’s stir-fries before I went vegan. I don’t know what it was about those stir-fries. The perfect veg-to-noodle-to-tofu ratio? The way the straight-to-wok noodles occasionally clumped into crispy guilty pleasures? A more generous dose of oil and soy sauce than I would be comfortable using? Or the combination of spices? There is certainly one spice that immediately takes me right back to those stir-fries, and it popped into my head without hesitation for this post: Chinese Five-Spice. I’d love to segue neatly on to a mouthwatering, expertly photographed, thoroughly tested revamped colourful stir-fry recipe complete with surprise crispy noodle bits… But aside from the fact that I just can’t seem to make myself cook or eat something I’m not in the mood for (and I don’t make stir-fries tasty enough to ever be in the mood for them), I have never managed to cook well with Chinese five spice. In fact, when in my uni days I finally figured out/was told that that was the distinctive flavour in Mum’s stir-fries, I stuck it on my shopping list and excitedly whipped myself up a stir-fry full of all the fun stir-fry ingredients I could think of… I ended up with a bowl full of claggy noodles, clumpy powdery vegetables, and disappointment. I’m pretty sure that bottle of five spice lived out the rest of its days at the back of my cupboard, doing its best to pretend it had never existed. And I haven’t bought any since, and I don’t really intend to. So, instead of a recipe, let’s learn a little about Chinese five spice. I’m sure you’re all bored to death of tempting recipes and twinkling food photos, yes? In case you aren’t familiar with it, the defining ingredients are star anise and Szechuan peppercorns (which, apparently, have nothing to do with pepper), which are joined by fennel, cassia or cinnamon, and cloves. In some recipes, you’ll find ginger rather than fennel. As you can imagine, this combination of spices is highly fragrant, distinctively sweet with licorice notes (from the star anise and fennel) but undoubtedly savoury, with a hint of bitterness from the “peppercorns” and cinnamon. Go a little too heavy-handed with it and you’ll end up with a medicinal, powdery-tasting dish – but getting the quantity right can elevate your dish to levels of deliciousness far beyond the sum of its ingredients. I don’t know how it works, but it does. Unsurprisingly, due to its flavour profile, Chinese five spice is generally paired with robust, meaty dishes – and can also be found in Vietnamese and other Asian recipes. While I have certainly enjoyed it in vegetarian and vegan stir-fries, I can only imagine it would go better in the heartier versions of these; I’m thinking thick noodles and a good coating of sesame oil, meaty shiitakes and marinated seitan. Star anise rose to fame in 2003 in the midst of the bird flu (H5N1) epidemic. You may be familiar with the name Tamiflu, which is the drug used to treat the flu – well, it is produced from a base of shikimic acid, which just so happens to also be found in star anise. Star anise has been used medicinally “for as long as anyone can remember“, to treat a number of ailments from colic and digestive issues to respiratory conditions and all sorts of influenzas, not forgetting female hormonal cycles and male libido concerns (which seem to have so many dozens upon dozens of possible remedies – literally every time I research a herb or spice or superfood it turns out to have been used as a hormonal or fertility or libido remedy – that one could wonder why it remained a problem?). So, somewhere in the overlap between ancient remedy and big pharma, many started drinking star anise tea to ward off the flu (though the French probably just smirked and went back to drinking their pastis). Unfortunately, some of these people learned the hard way that Japanese star anise is toxic, and there have been reported cases of poisonings. 3. Fresh basil! So fresh, sweet and succulent, it smells of summer and is perfect in a hummus-filled ciabatta alongside juicy sun dried tomatoes, olives and marinated peppers. It’s all you need on a puffy, tomato-rich pizza. Sorry, basil plants, for letting you all die all the time. I really am. 2. Smoked paprika! Give tofu the wow factor it craves. 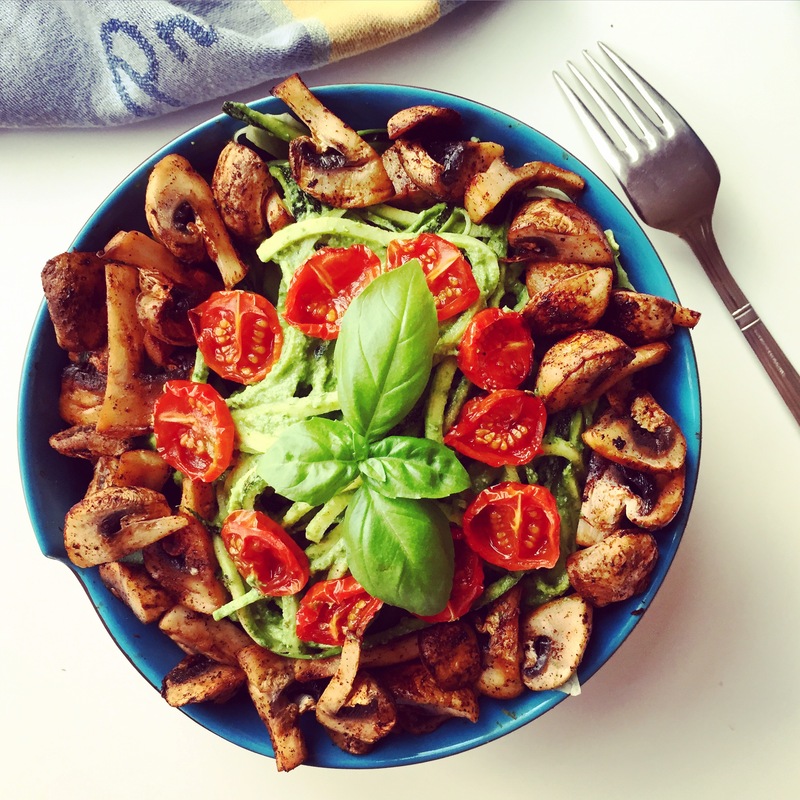 Turn sautéed white cup mushrooms into something with a bit more conviction. Make your cauliflower blush. Bring summer garden BBQ nights into your wintery apartment kitchen. Whisk it into tahini-based salad dressings. In other words, sprinkle it everywhere. To be entirely truthful, I only thought of that after I had decided on the above two as the winners. I totally forgot about cinnamon, purely because I use it every day – how unfair is that? It goes wherever banana goes. It pretties up any breakfast bowl. It works its way into smoothies. It sneaks into coconut-based curries. Imagine a cinnamon roll without cinnamon… Not so good, huh? Cinnamon makes everything better! Go eat a cinnamon roll! 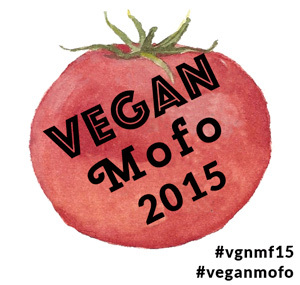 Vegan MoFo 2015: Day 26 – Snowdrift!